Murale has a Big Beauty Exchange on now! 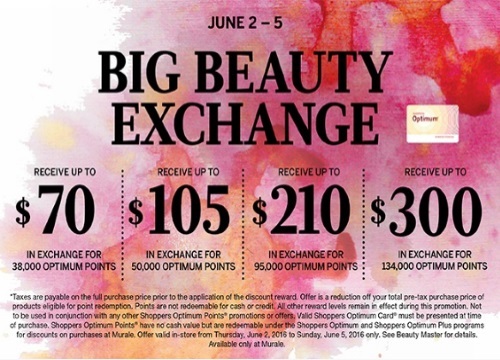 Spend your Optimum Points for up to $300 off your purchase! Offer is valid in-store only June 2-5, 2016.